Enjoy one of the best yields in town with unlimited access! Earn 2.25% APY* on average daily balances up to $10,000 and up to $10 in ATM fee refunds. No monthly fee or minimum balance is required! Have a minimum of 15 debit card purchases post to account. Have a minimum of one ACH credit or debit post to account. 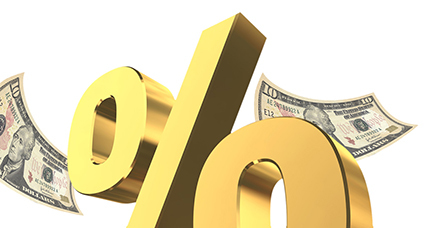 *APY=Annual Percentage Yield. APY accurate as of 6/1/17. Rates may change after account is opened. When you qualify, balances greater than $10,000 will receive 0.25% APY. If monthly qualifications are not met, the full average daily balance will earn 0.10% APY. Contact FMCU for complete details. Visit either of our offices to sign up for your Debit Rewards account today.